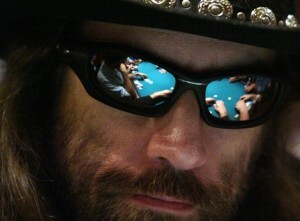 I’m looking forward to write about how Chris Ferguson built his poker bankroll. Born on April 11, 1963 in Pacific Palisades, California, Christopher Philip Ferguson was destined to become quite the academic. Both parents have doctorate degrees in mathematics so it was no surprise when Ferguson followed a similarly academic field, earning himself a Ph.D in computer science, focusing on virtual network algorithms. But, despite holding this Ivey League degree, Ferguson chose another career path – that of a professional poker player. Ferguson began playing poker at the age of ten and would play for play money in chat rooms via Internet Relay Chat (IRC). It was 1993 though before he started to regularly play live, real money tournaments in his hometown state of California. In the following two years Ferguson had a dozen or so minor cashes but in 1995 he came within a $1,500 Razz event at the World Series of Poker for a career-best score of $10,350, the first of his 63 cashes at the long-running series and a total he will be looking to add to at this year’s WSOP. [adrotate group=”6″]Over the next five years he had numerous scores but 2000 was the year of the man they now called “Jesus” (due to his long hair and beard). He won his first WSOP bracelet in the $2,500 Seven-card Stud event for $151,000 before winning the $10,000 Main Event, defeating T.J. Cloutier heads-up to win $1,500,000 – still his largest tournament cash of his career. Fast forward to today and Ferguson has an extremely impressive tournament record, including five WSOP bracelets, an NBC Heads-Up Championship gong and almost $8,300,000 in winnings. However, despite his obvious tournament prowess he is better known for something completely different. Back in 2007 Ferguson set about what is now known as “The Chris Ferguson Challenge” where he started with a completely empty poker account and attempted to win $10,000. Not only did he manage to reach $10,000, he actually continued and was at more than $20,000 at one point. He started by playing daily freeroll tournaments, available on any safe online poker sites, and then progressed to cash games. On numerous occasions he lost the little amount he had won in the freerolls but he was determined to prove solid play and good bankroll management were enough to see poker players succeed. Chris Ferguson bankroll management followed strict rules where he would never buy into a cash game or sit ‘n’ go that represented more than 5% of his total bankroll and no multi-table tournament that would cost him more than 2% of his bankroll. Finally, if he was having a good cash game session in a pot limit or no limit game and his stack represented 10% of his overall bankroll he had to leave the table as soon as the blinds reached him. Eventually, Ferguson went from playing freerolls and was spotted at the $25/$50 tables from time to time proving “The Ferguson Challenge” does indeed work and has since resulted in many players attempting to follow suit.